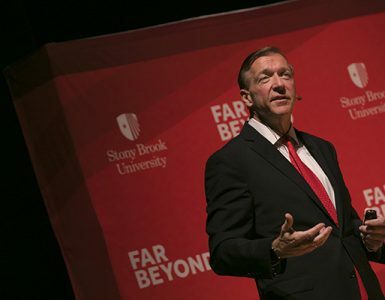 Some of the Stony Brook Heart Institute’s recent open-heart surgery patients celebrated with their doctors and other caregivers and learned about new advancements to treat cardiovascular disease at the annual February dinner. 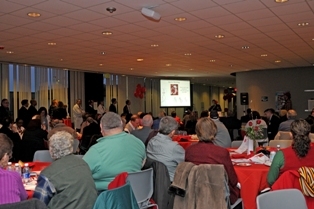 STONY BROOK, N.Y., February 17, 2012 – They varied in age, interests, and medical conditions, but all 50 plus patients who attended a dinner with their Stony Brook Heart Institute doctors and other caregivers had one thing in common – each had recovered from life-saving open heart surgery. 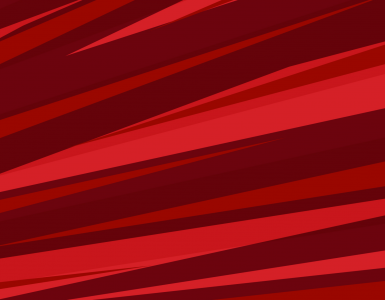 Held in the Health Sciences Tower on February 9, the annual celebration during American Heart Month is a testimony to recent patients’ restored health and continued progress against cardiovascular disease, which remains the nation’s number one killer. Patients like Soterios Georghiou, 60, from Patchogue, mingled with the staff and expressed how much better he feels after a left ventricular assist device (LVAD) was implanted in him at Stony Brook in December 2011. 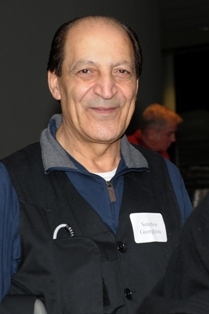 Mr. Georghiou has battled cardiovascular disease for 15 years, and he had three brothers who died of heart ailments at ages many years younger than he is now. Todd K. Rosengart, M.D., Co-Director of the Stony Brook Heart Institute, Chair, Department of Surgery, and Chief, Division of Cardiothoracic Surgery, as well as other Heart Institute physicians, have cared for Mr. Georghiou since the late 1990s. 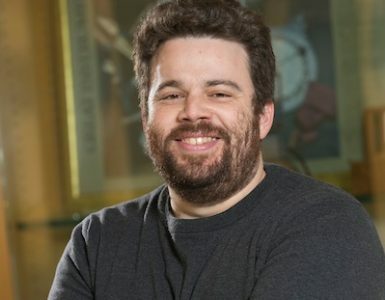 Mr. Georghiou first had surgery at Stony Brook in 1997 and has since had multiple heart surgeries and treatments, but his disease eventually worsened, and he developed heart failure. This led to the need for an LVAD, and he has since gained energy and even returned back to work part-time at a diner. His next goal is to attend his son’s wedding in August. Soterios Georghiou, 60, a heart failure patient, has experienced renewed energy since receiving a life-saving cardiac device. Stories similar to Mr. Georghiou’s filled the dinner and reception area, as patients took the microphone and thanked their surgeons and the Heart Institute staff for their life-saving efforts, and in helping them get back to normal to enjoy family, return to work, or be able to take care of their grandchildren. The event also featured a physician-led presentation on the achievements and progress of the Heart Institute, including the continual increase of patients receiving life-saving cardiac devices, such as LVADs. This device can last for years and is placed in patients with advanced heart failure, many near death, and often as a bridge to a heart transplant. Dr. Rosengart also shared with the patients and staff information on future and innovative treatments at the Heart Institute designed to halt or slow down cardiovascular disease, mainly the inclusion of gene therapies for patients to help grow heart blood vessels. 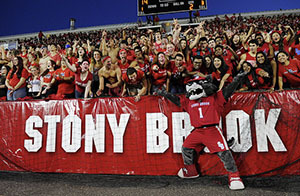 The Stony Brook Heart Institute is located within Stony Brook University Hospital as part of Long Island’s premier university-based medical center. The Heart Center offers a comprehensive, multidisciplinary program for the prevention, diagnosis and treatment of cardiovascular disease. 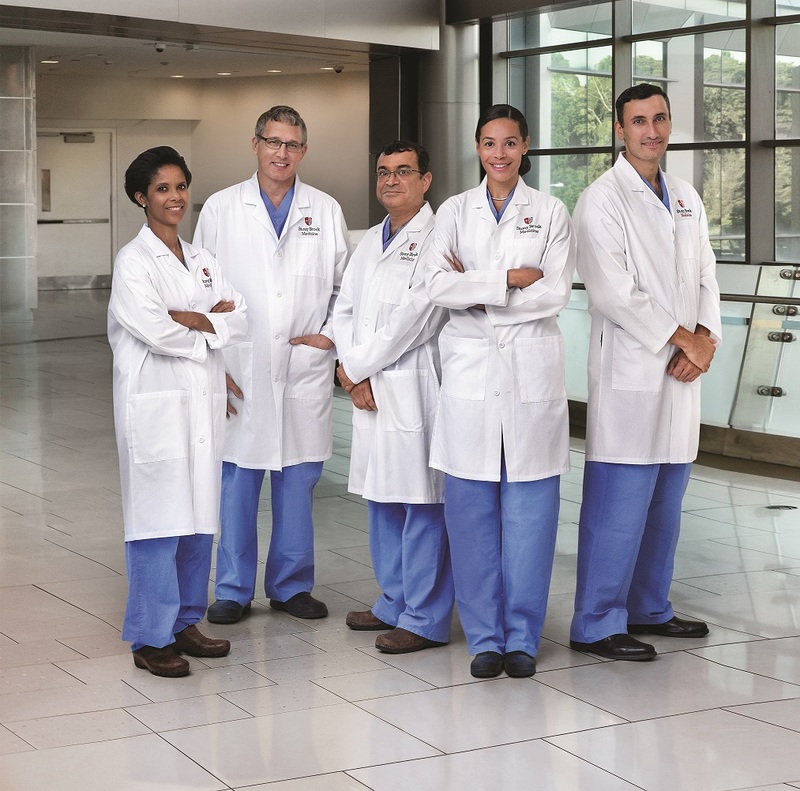 The staff includes 50 full-time and community-based, board-certified cardiologists and cardiothoracic surgeons, as well as 350 specially trained anesthesiologists, nurses, physician assistants, nurse practitioners, respiratory therapists, operating room technicians, perfusionists, and other support staff. Their combined expertise provides state-of-the-art interventional and surgical capabilities in 24-hour cardiac catheterization labs and surgical suites. And while the Heart Center clinical staff offers the latest advances in medicine, its physician-scientists are also actively enhancing knowledge of the heart and blood vessels through basic biomedical studies and clinical research. To learn more, visitwww.heart.stonybrookmedicine.edu.